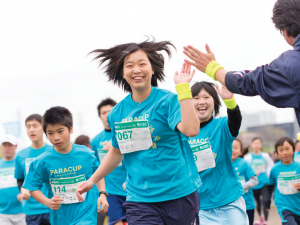 Run or volunteer for PARACUP 2015 « Shine On! Kids - Supporting children with cancer and other serious illnesses in Japan and their families. 2015 marks the 11th PARACUP, a charity run benefiting various non-profit organizations that support children in Japan and abroad. Shine On! Kids is looking for 60 runners and 10 volunteers! Be a runner: Wear a costume or your best running clothes, run with your friends or your child, go 20 kilometers or 3. By participating as a runner through Shine On! Kids, ¥1,000 of your participation fee goes directly to fund our activities. Be a volunteer: Support Shine On! Kids and PARACUP, cheer on runners, and help the day happen! ※Please indicate Shine On! Kids under the 紹介団体 option! WHY Enjoy the day, be active, and support children in need!